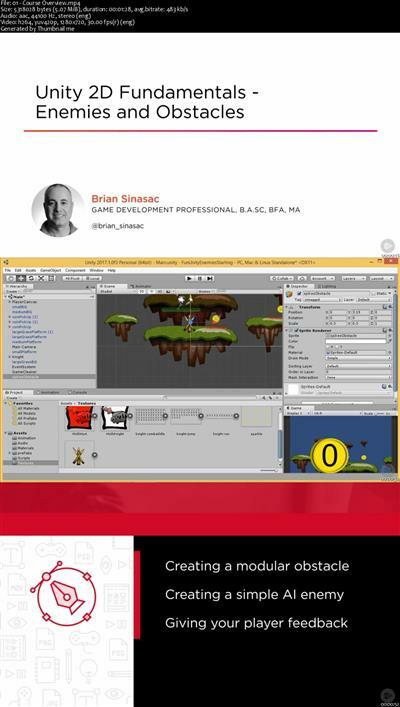 Have you ever wanted to learn Unity, so you could create your own video games? If so, then the Unity 2D Fundamentals course series if for you! This course, Unity 2D Fundamentals - Enemies and Obstacles, is a beginner level course that will introduce you to the creation of assets that can harm your character using a practical project. First, you'll start with an initial 2D project where you'll craft the game's obstacle and code to damage the player. Next, you'll build art assets to give the player feedback, both audio and visual, to help them understand that they have taken damage. Lastly, you'll create an enemy's game object, and create the AI that will control it. When you are finished with this Unity course, you'll have the knowledge to create both static obstacles and simple AI based enemies. 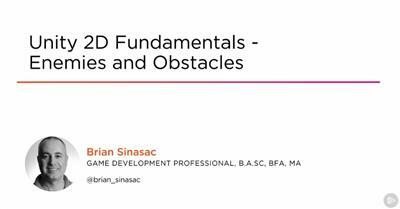 Unity 2D Fundamentals - Enemies and Obstacles is the third course in the series and builds on earlier courses. Software required: Unity.